Join them for a fascinating event about writing, and how novels can bend genre as well as gender. Looking for the inside track on how publishing works and what you need to do to make your submission a success? We’ve lined up expert panels of six top agents, two of London’s literary editors. Plus we’ve got three debut authors talking about how they landed their deals! AGENTS. Sallyanne Sweeney (MMB Creative), always excited by a distinctive voice, strong storytelling and a fresh premise; Nicola Barr (The Bent Agency) is looking for upmarket, original commercial fiction; Polly Nolan (The Greenhouse Literary Agency) wants picture books, young fiction series, Middle Grade and Young Adult with an arresting voice and emotional pull; Kate Nash (Kate Nash Literary) has reading tastes ranging from romance to thrillers, but always highly commercial; Simon Trewin (Simon Trewin Ltd) represents authors and entrepreneurs in art, culture, digital, literature, and live events; and Ellen Gallagher (Casarotto Ramsey & Associates) is looking for new work for screen. Casarotto Ramsey doesn’t accept open submissions so this is a very special opportunity! EDITORS. 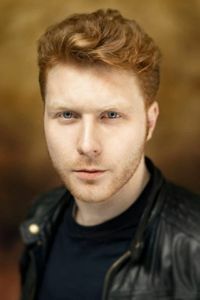 Neil Belton, Editorial Director, Head of Zeus. 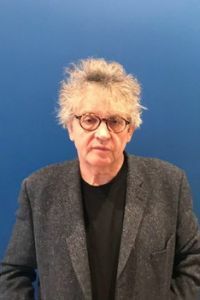 He heads both non fiction and literary fiction lists, and has championed a range of Irish writers including Elizabeth Reapy, Elske Rahill, Darach O’Seaghdha, Declan Kiberd and Maurice Walsh. Sara O’Keefe, Editorial Director, Corvus Atlantic. Sara O’ Keeffe is the Editorial Director of Corvus, the commercial fiction imprint of Atlantic Books. An avid reader and lover of crime fiction, thrillers, historical fiction and women’s fiction, her authors include Robert Ludlum, Rainbow Rowell, Katherine Webb, Holly Seddon and Minette Walters. AUTHORS. Discover how three debut authors got their break – three different genres, three totally different authors and three different books! Anne Griffin’s novel When All Is Said debuted at Number 1 on the Irish bestseller list and remained there for five weeks. Sarah Davis-Goff, author of acclaimed debut Last Ones Left Alive, is a co-founder of the Irish independent publisher Tramp Press and a 2018 Bookseller Rising Star. 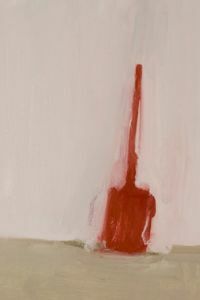 A new voice in Irish crime fiction, Jane Ryanhas written and published many short stories before her debut 47 Seconds. 10am The Agent Game: Agent panel: our agents discuss what’s hot and what’s not, what they are looking for and how to avoid getting rejected. 11.45am Main conference: Inside Publishing: Get Yourself Noticed. Find out how to write that killer pitch! Vanessa Fox O’Loughlin discusses covering letters, how to write a synopsis, and gives tips on getting your work noticed. 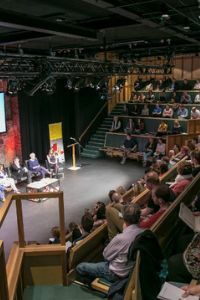 2pm Inside Editing: Editorial panel Sara O’Keefe and Neil Belton discuss what they are looking for in a submission, exactly what a break-out novel is, and what not to do when submitting your book! 4.30pm-5pm Final tips & wrap-up Date With An Agent For shortlisted candidates only. Shortlisted authors will be notified in advance if they have been selected for an agent date. 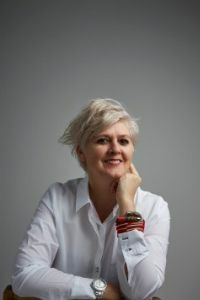 In conjunction with Date With An Agent, The Insiders’ Guide To Publishing is facilitated by literary scout, agent, publishing consultant and bestselling author (writing as Sam Blake) Vanessa Fox O’Loughlin of Writing.ie. 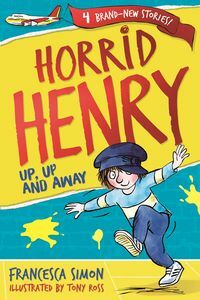 Come along and meet Shane Hegarty’s new robot character Boot, in a fun and interactive event for the whole family! Shane wrote the bestselling middle-grade series Darkmouth, featuring the last remaining Legend Hunter and his desperate attempts to protect his home town from terrifying human-eating monsters. Darkmouth was nominated for the Waterstones Prize and is currently being developed into a big screen animation. 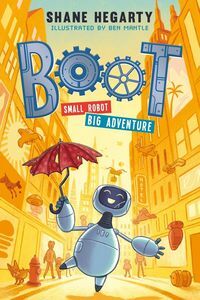 Boot, featuring a small robot who has a big adventure, is his first series for younger readers. Expect lots of laughter with one of Ireland’s most entertaining writers! A remarkable performance that explores the Irish Famine and how imperialism helped cause the largest refugee crisis of the C19th. Inspired by the contemporary maritime migrant crisis, which evokes the ‘coffin ships’ that carried the Irish across the Atlantic, Cherry Smyth’s Famished is the first long poetic sequence to examine women’s role in the Famine, interweaving often brutal historical facts with imagined lyrical voices of the 1840s. One of Ireland’s most accomplished poets, in this collaborative production with composer Ed Bennett and vocalist Lauren Kinsella, Cherry Smyth draws on the power of collective lament, using music to broaden the poetic text into a beautiful and haunting, crossarts performance. Poets Aifric MacAodha and writer Aoife Casby will read from Famished in Irish. Inspired by ancient classics dealing with travel and migration through the allegories of birds, Conference (after Sweeney) blends live discussion and field recordings of migratory birds to create a subtle and immersive acoustic experience. Part of Bergvall’s Sonic Atlas series of works which explore issues of location, poetic performance and multiple languages, Conference (After Sweeney) takes as its starting-point the well-known medieval Irish epic poem of mad King Sweeney (Buile Suibhne), who was transformed into a bird and cursed to roam above the land in perpetual metamorphic exile. Caroline Bergvall is joined by singer and visual artist Ceara Conway; Trinidadian Scottish writer Vahni Capildeo; Professor of Sociolinguistics Vera Regan; ornithologist and sound artist Geoff Sample; medievalist David Wallace; and geographer James L. Smith; with sound artist and programmer Rob Blazey. Originally commissioned by Whitstable Biennale in 2018. Programmed with the support of the Royal Norwegian Embassy Dublin and NORLA. Funded by Arts Council England. Embassy Dublin and NORLA. Funded by Arts Council England. 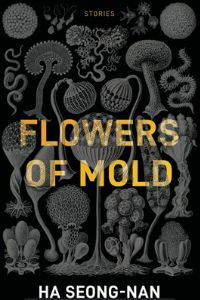 Ha Seong-nan’s strange and unsettling short fiction is collected in her new book, Flowers of Mold and announces another exciting name in Korean fiction. 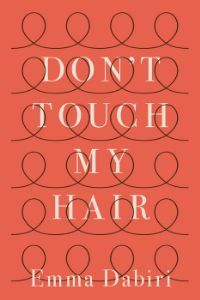 Translated by Janet Hong, these are stories of weird disconnection and dream logic, which disturb and delight the reader. Seong-nan is the author of five short story collections and four novels, and has won the Dongin Literary Award and the Hyundae Literary Award. She joins us in Dublin for this one-off event. The event will be chaired by writer Mia Gallagher. Presented in association with the Korean Embassy in Ireland and Literature Translation Institute of Korea. 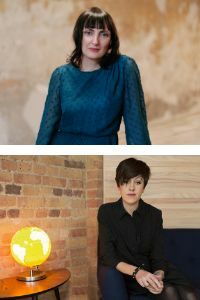 A welcome return back to Dublin for singer-songwriter and author Tracey Thorn! After forming her first band Marine Girls at school, she spent seventeen years in bestselling duo Everything But The Girl with her partner Ben Watt. Her first memoir Bedsit Disco Queen focused on how she broke into the music industry. Her new book Another Planet – a memoir of teenage life in a seventies suburban town where nothing happens – is a beautifully observed reflection on teenage angst, family and music. Sinéad Gleeson’s debut essay collection Constellations, described as ‘a powerful, inspiring gift to readers everywhere’, tells the story of a life in a body as it goes through sickness, health and motherhood, and explores a range of subjects: art, illness, ghosts, grief and our very ways of seeing. In conversation with music journalist, podcaster and editor of RTÉ Brainstorm, Jim Carroll. 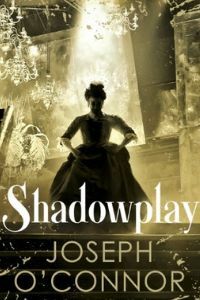 Joseph O’Connor, the incomparable author of nine novels, short stories, radio diaries, film scripts and stage plays joins us to discuss his career and his newly-published first thriller, Shadowplay. In 2004 Star of the Sea was an international bestseller, selling over a million copies across 38 languages, and his new novel is sure to follow the same trajectory. It is a masterful account of Bram Stoker’s life as a young man in London working with Henry Irving, the world’s first superstar actor, as they both fall under the spell of dazzling actress Ellen Terry. Shadowplay explores the complexities of love that stands dangerously outside social convention, the restlessness of creativity, and the experiences that led to Dracula, the most iconic supernatural tale of all time. In conversation with journalist, writer and current affairs presenter, Olivia O’Leary.